Bent, Arthur C. Life Histories of North American Wood Warblers. New York: Dover Publications, Inc., 1963. Cassidy, James, ed. Book of North American Birds. New York: The Reader's Digest Association, Inc., 1990. Dock Jr., George. "Yellow-Breasted Chat." In Audubon's Birds of America. New York: Harry N. Abrams, Inc., 1979. Ehrlich, Paul R., David S. Dobkin, and Darryl Wheye. The Birder's Handbook. New York: Simon and Schuster, Inc. (Fireside Books), 1988. Garrett, Kimball L., and John B. Dunning Jr. "Wood-Warblers." In The Sibley Guide to Bird Life and Behavior, edited by Chris Elphick, John B. Dunning Jr., and David Allen Sibley. New York: Alfred A. Knopf, 2001. Peterson, Roger Tory. A Field Guide to the Birds of Eastern and Central North America. Boston: Houghton Mifflin Co., 1980. Berger, Cynthia. "Exposed: Secret Lives of Warblers." National Wildlife 23 (2000): 46-52. Dunaief, Daniel. "Taking Back the Nest." Discover 16 (1995): 34. Heist, Annette. "Singing in the Brain." Natural History 109, no. 8 (2000): 14-16. Rather Than Supernormal Stimulus, Explains the Success of Parasitic Brown-Headed Cowbird Chicks in Yellow Warbler Nests." Proceedings of the Royal Society of London B 265, no. 1392 (2000): 249-254. Line, Les. "Tale of Two Warblers." National Wildlife 32 (1994): 16-19. Lovette, I. J., and E. Bermingham. "Explosive Speciation in the New World Dendroica Warblers." Proceedings of the Royal Society of London B 266, no. 1429 (1999): 1629. Nowicki, Stephen, Susan Peters, and Jeffrey Podos. "Song Learning, Early Nutrition, and Sexual Selection in Songbirds." American Zoologist 38, no. 1 (1998): 179-190. Price, T., H. L. Gibbs, L. de Sousa, and A. D. Richman. "Different Timing of the Adaptive Radiations of North American and Asian Warblers." Proceedings of the Royal Society of London B 265 (1998): 1969-1975. Raikow, Robert J. 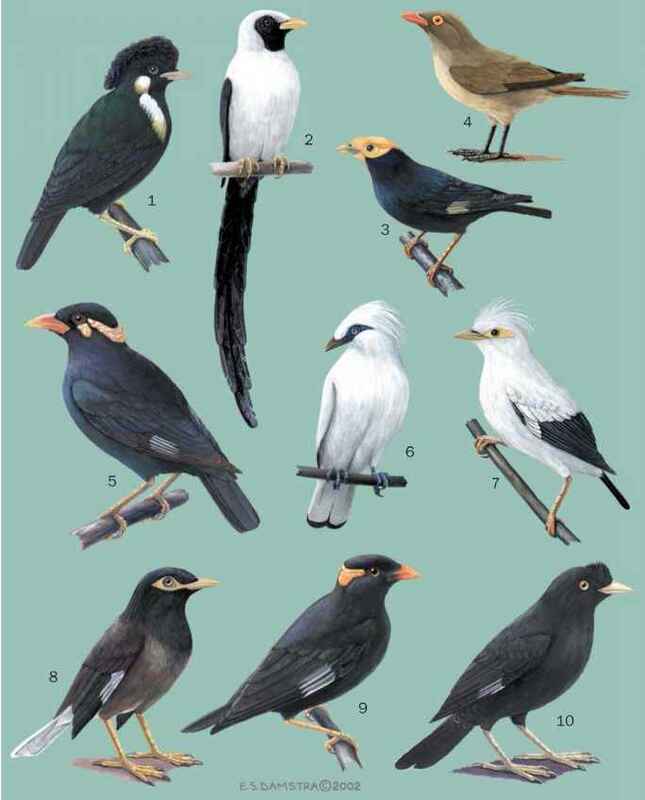 "Phylogeny and Evolution of the Passerine Birds." Bioscience 50, no. 6 (2000): 487-499. Tangley, Laura. "A Good Place in the Sun: Tropical Winter Habitat Proves Critical to North America's Migratory Songbirds." U.S. News & World Report 125, no. 23 (1998): 63. Van Buskirk, J. "Independent Evolution of Song Structure and Note Structure in American Wood Warblers." Proceedings of the Royal Society of London B 264, no. 1382 (1997): 755-761. Weidensaul, Scott. "Jewels in the Treetops." Country Journal 23 (1996): 58-61. Yezerinac, M., and P. J. Weatherhead. "Extra-Pair Mating, Male Plumage Coloration, and Sexual Selection in Yellow Warblers (Dendroica petechia)." Proceedings of the Royal Society of London B 264, no. 1381 (1997): 527-532.